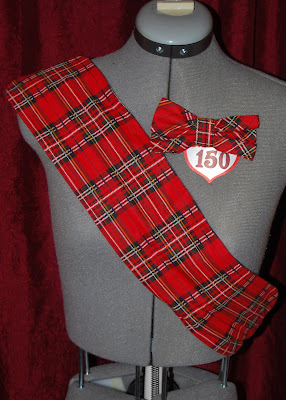 Bow tie and cummerbund are made from plaid fabric. Cummerbund is adjustable (velcro), and bow tie is available as a clip on or an adjustable strap with bow tie attached. 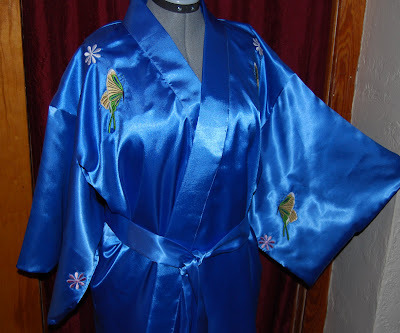 Fully lined and embroidered blue Brad robe. Blue color may vary depending on your monitor, as well as the finished product, due to the blues that we have available at the time of production. 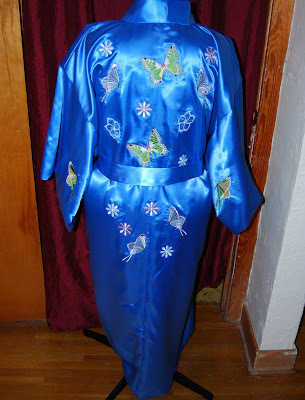 For information about floorshow pieces, please see the floorshow costumes entry.